Usually, I don't have the skills necessary to create whatever odd idea I have in my head, so I find myself fudging about with a new material or new tools. This is my favorite way to work--totally unsure of what I'm doing, but puzzling through to make something new. I also tend to be incredibly cheap and prefer to spend as little money as humanly possible, which inspires more creative thinking within the limits of what I have available. My hands are always busy. 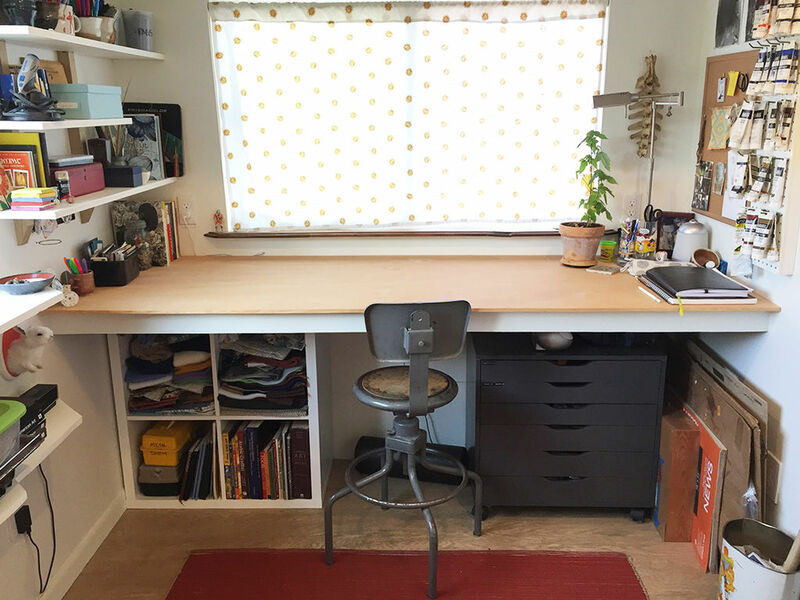 Here is a round-up of the funkiest DIY tutorials I've put together from across the internet. Some are posted on instructables, which is an incredible community of makers crafting super weird and genius stuff. When we bought a lovely little brick home in our new state, the backyard was outfitted with a rusting metal shed flanked by gnarly tree bushes and lined with diagonally-embedded bricks. Now that I was a spoiled backyard artist, I knew this metal tetanus heap was sitting on the hallowed ground of what would one day be my new den of creative wonders. Weighted blankets have long been used therapeutically for people with sensory sensitivity or restless leg syndrome, as well as to increase focus. Newer studies are finding that these heavy blankets increase serotonin and melatonin levels while also lowering cortisol levels. Your mood improves, and because the weight minimizes movement during sleep, it helps your body stay in a deeper sleep for longer. 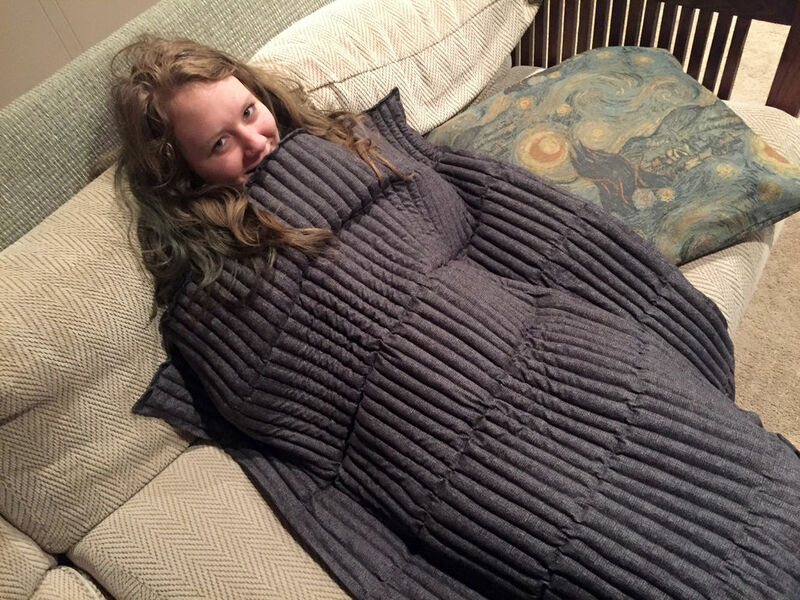 I have several family members who struggle with sleep and/or anxiety, so weighted blankets sounded like an amazing solution. All gamer grown-ups need a daily reminder of romping through the lost woods following the tune of a crazed forest child, don't they? If you manage to score one of these seasonal scarecrow wigglies from the dollar store, this little buckaroo project is a fun and easy repaint perfect for any Zelda fan. This rather creepy felt pillow uses an old CPR-training-dummy mouthpiece to give budding Casanovas a place to hone their kissing skills. It is easy to make and hilarious to give as a gift, but tracking down an old CPR mouth might be a challenge. Making a Lucky Penny Charm Bracelet is super simple, and it makes the perfect Christmas gift or stocking stuffer for almost anyone you know who wears bracelets: give your mom a bracelet with a penny for each of her children's birth years, your lovey a penny from the year you met/wed, or just give anyone a bracelet with the year they were born. The hardest part is sorting through your change jar/couch cushions/car to find the right penny. Upcycle old board games into something new. This Clue Drink Set for Six makes a fun hostess gift for a murder mystery party, adds flair to board game night, and pairs perfectly with a viewing party for the movie "Clue," which is hilarious. Best of all, it is easy to make yourself and, with some creative adjustments, could be replicated with pretty much any game. Here are instructions to make a couch, sofa, settee, bench, loveseat, or whatever you want to call it using two old chairs. 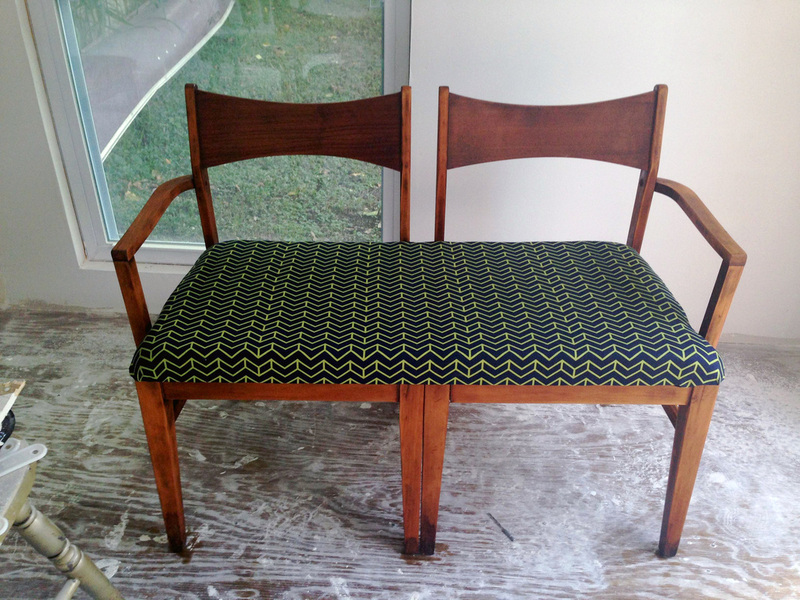 The tutorial is specific to the chairs I had--with a bit of tweaking, this DIY can be applied to pretty much any two chairs (even if they don't match). It is easy to recycle two chairs into a bench. This classy upcycled watch will inspire you to seize the day and fight any procrastinating spirit. "When should I ask that cute girl out on a date?" NOW. "I really should study for my test, but..." DO IT NOW. "If only I could quit my boring job and follow my dream of starting a successful online travel program that shows viewers how to visit exotic locations on the cheap" (this is what my friend who wanted the watch actually did. You can see his show at www.TheHostelLife.com). Even if you are not interested in making your wrist say "NOW," this project will show you how to turn your old, broken watches into wearable wrist picture frames. Juist insert any image or saying into the gutted watch. I made this sushi pillow for my little sister for Chirstmas one year. 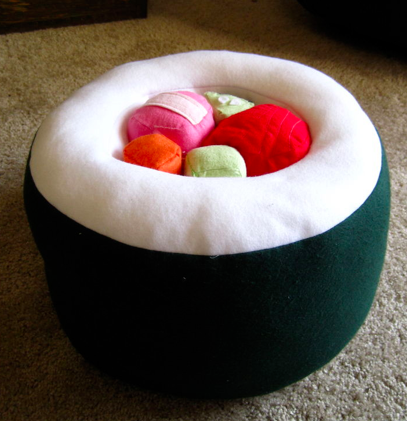 I've seen sushi pillows all over the internet, but they are mostly circle pillows with the sushi ingredients printed on the fabric. I wanted to make one with a variety of removable ingredients so that my sister could "customize" her sushi roll! The main pillow is a big donut shape, so the pieces go all the way through and can be seen on either side of the pillow. After a trip to The Wizarding World of Harry Potter last year, I got one of their plastic souvenir butterbeer mugs and was dissapointed by its distinctly non-magical and non-quality feel. I was getting ready to throw a Harry Potter Party and wanted to give my muggle guests a more authentic experience, so I made a set of etched butterbeer mugs for serving the legendary beverage. One of my friends is obsessed with air plants and was moving into a new place, so I wanted to make a neat gift to welcome him to the new digs. Having just grabbed a huge box of wine corks left over from a wedding, I was eager to put them to use. These little hanging air plant baskets feature two types of plants and can be hung in groupings or by themselves. They add a lot of charm indoor or out, and the plants are nearly impossible to kill. 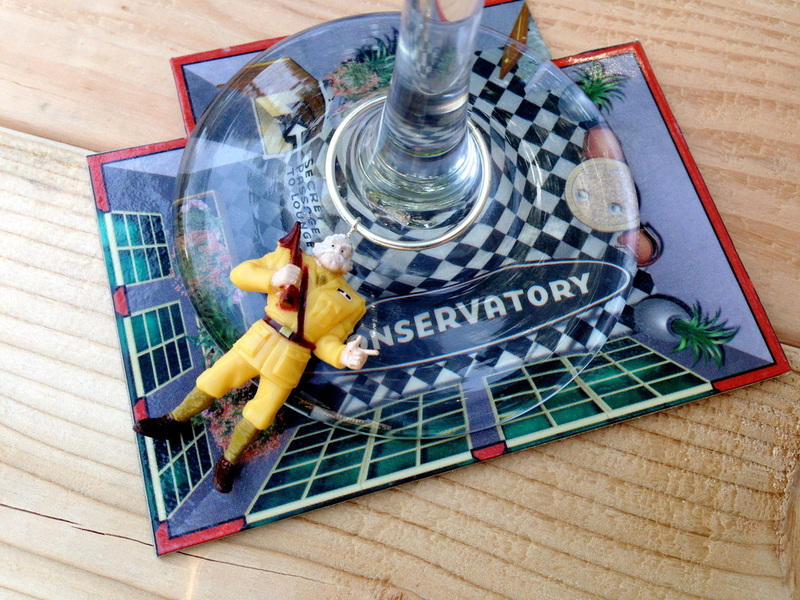 They make awesome gifts for your less-than-green-thumbed pals. I wanted to make some very personalized and funky earrings to give to my little sister. She loves all the classics--Zelda, Totoro, Nintendo, Invader Zim, Robots, etc., and generally loves to wear anything that screams loud and proud to the world "I LOVE THIS STUFF!!" While her backpack, t-shirts, shoes, shoelaces, necklaces, and hats all carry the stamps of various anime and video game titles, her ears remained sadly unadorned. Luckily I stepped up to include her ears in the party. The Instructions include the Instructables Robot as well as designs for Wiimotes, Gir, Totoro, and the Triforce. You can use the process to make pretty much any character. 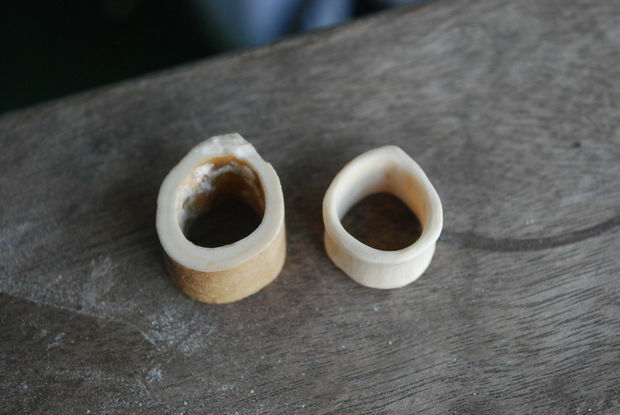 Making bone plugs/gauges is easy, but it is time-consuming and takes a lot of trail and error. The end result is fantastic--hand-made jewelry crafted out of a natural material, and they make a really cool gift. 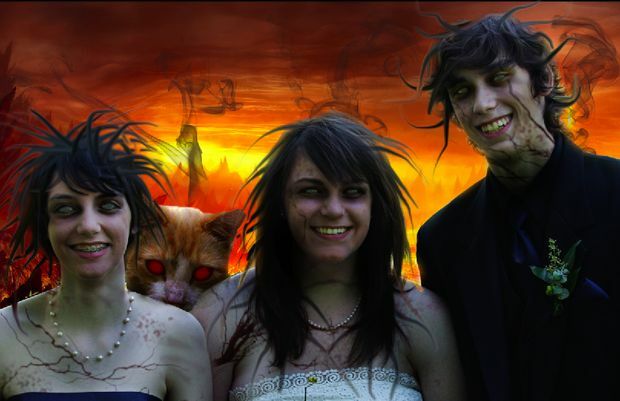 - We will all creepily smile while eating brains. - My cat Nemo will turn into a super protector with horrifying powers of destruction.